If you haven’t seen or tried yet, Spot Dessert Bar (located in Manhattan and Queens) makes this crazy gooey molten lava cake with deep chocolate and matcha flavors. So today, I #SKINNYSWAPPED it for an avocado, black bean and banana brownie with a dark chocolate drizzle and matcha powder coating. In a food processor, combine: your beans, avocado, banana, cocoa powder, egg, baking powder, vanilla extract and honey. After well blended, put the contents in a mixing bowl and fold in your chopped dark chocolate chunks. Put the mixture in a greased 8x8 brownie pan and bake for 15-20 minutes. After you remove from the oven, let cool completely so it is able to set up. 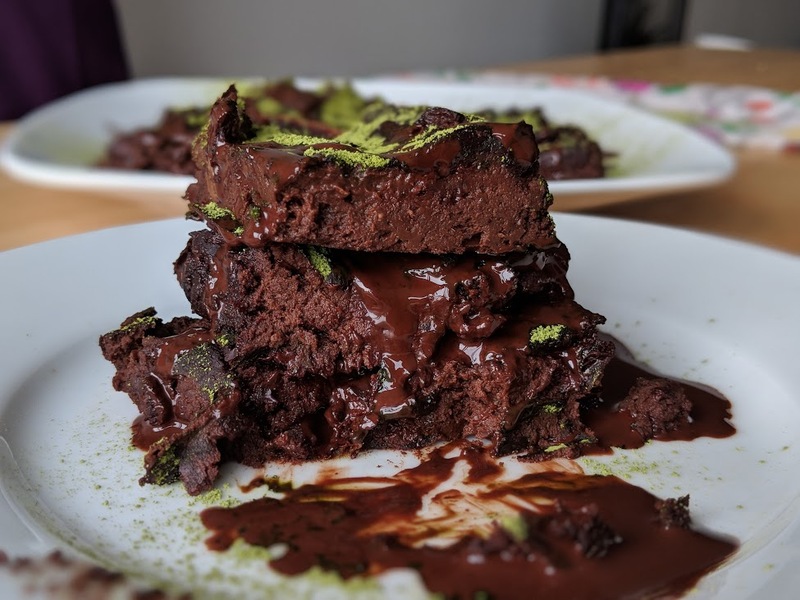 Top with your melted dark chocolate drizzle and matcha powder. Enjoy!